There comes a point in life when you realise you just have to celebrate every occasion, simply because you owe it to yourself to have as much fun as you can while your health is still rosy and financial ability is still strong. 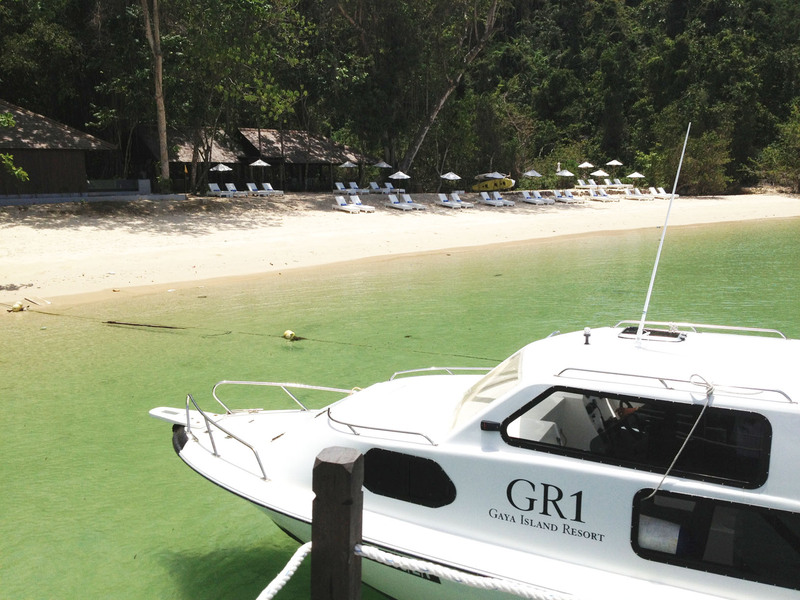 So for my birthday vacation this year, I chose to escape with the greatest love of my life to Gaya Island Resort, a new five-star island resort tucked into the hillside and lush rainforest of Gaya Island, off Kota Kinabalu in Sabah. The only way to get there is by boat. 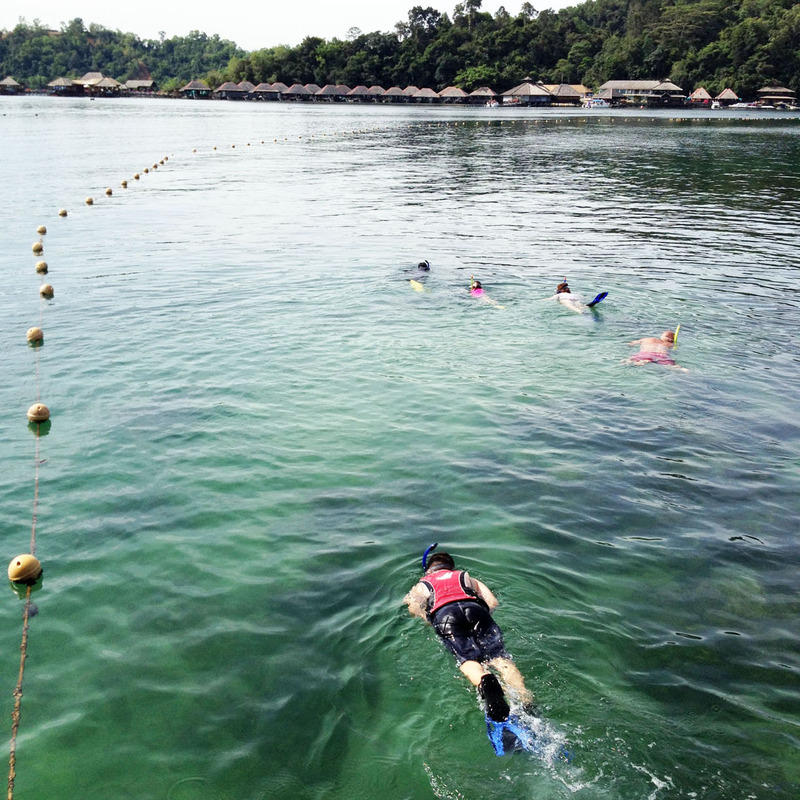 We flew into the city, got picked up by the resort’s Mercedes, alighted at Sutera Harbour and then took a speedboat right to the resort’s doorstep. We stayed in room 821, a Kinabalu Suite that sits on possibly the highest point of the resort, giving us splendid views of the resort, the sea, the mainland in the distance and, unfortunately, the occasional ugly tanker. 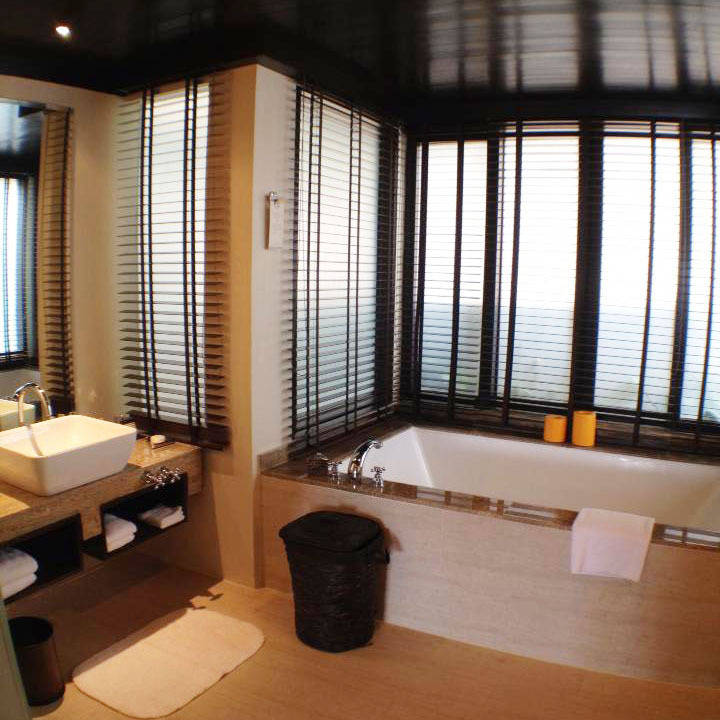 Stepping past the spacious terrace of our villa and through the sliding doors, we were faced with a large, comforting bed, a hallway that led past a walk-in wardrobe and study desk and into an open bathroom with a magnificent bath. While the location of our villa was wonderful, the downside was the distance we had to walk every time we wanted to get to the resort’s ‘nerve centre’ where the lobby, dinng outlets, pool, sun decks, gym and library were located. In fact, returning to our room was most tiring, as it was an uphill trek – not good after having a tad too much wine at the resort’s lovely Pool Bar & Lounge. On the bright side, the trek makes for good exercise and after a couple of times up and down that stretch, we sort of got used to it! We had a quick lunch at the resort’s Feast Village all-day dining restaurant. 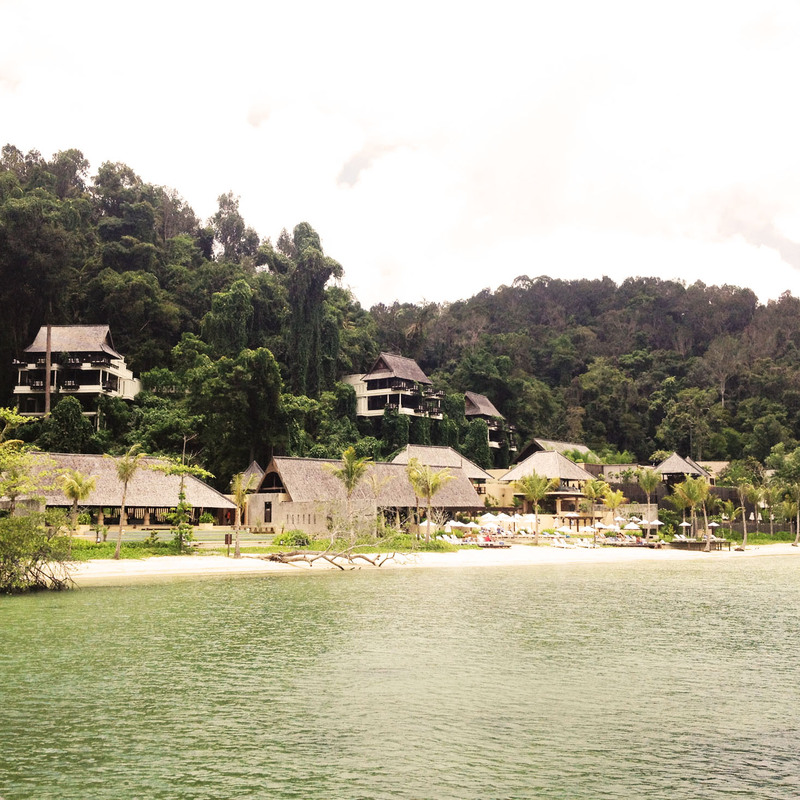 By the time we filled our tummies, the rain came heavily and we could not explore the resort or lie in the sun. So we returned to our villa to enjoy the material comforts it offered. Sinking into the massive bath, I soon fell asleep, only to wake up with a start and adjourned to the bed for more sleep. The husband and I rose only after the sun had retired for the day. And it was only because our tummies were rumbling again. So we dressed up and made our way down the winding concrete path and ended up at Fisherman’s Cove, the resort’s fine dining establishment. Food at Fisherman’s Cove was priced slightly more that the all-day restaurant downstairs, with mains starting from over RM100, but the quality and taste of food was far superior. From starters to mains to desserts, everything was tip-top. 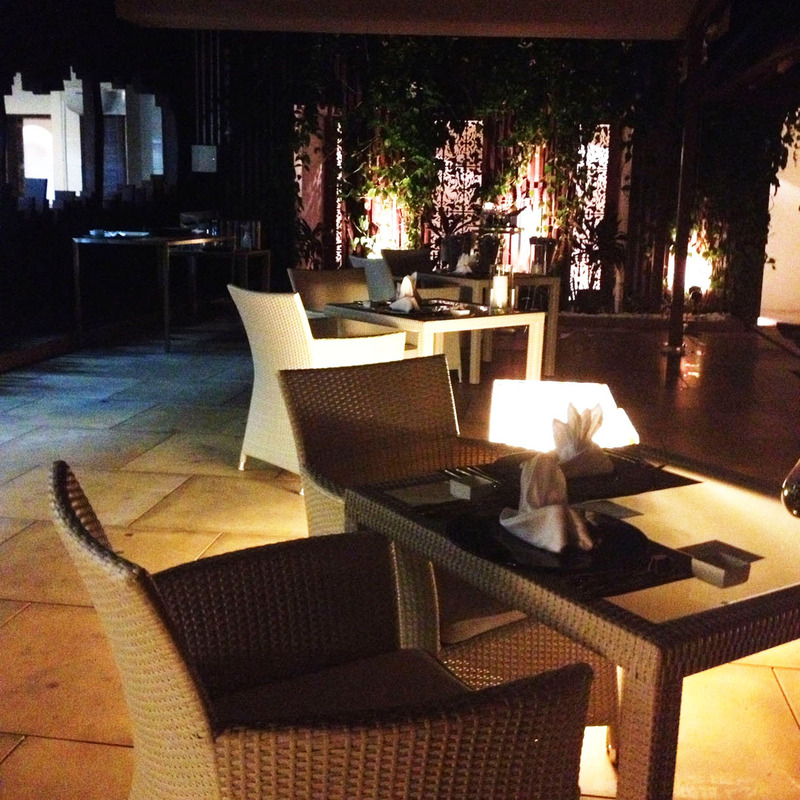 However, the dining area could use some fans to move the air on hot and humid nights. Early next morning, the husband woke me up to catch a glimpse of the sunrise from our terrace. This photo does not do justice to the view, unfortunately. 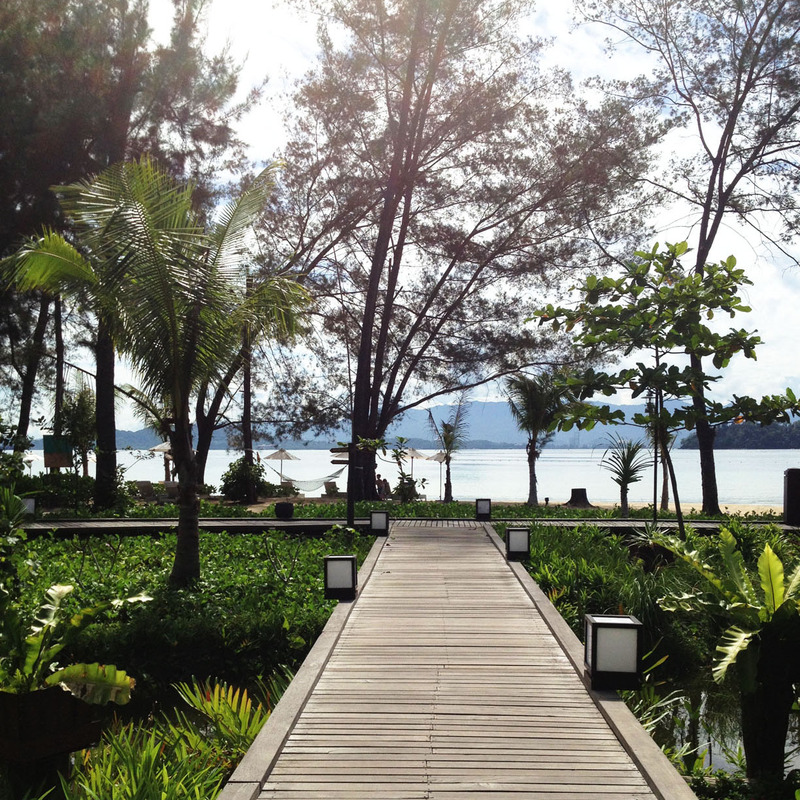 After breakfast, we explored the resort’s compound, taking pleasure in walking among the lush landscape on meandering wooden paths. 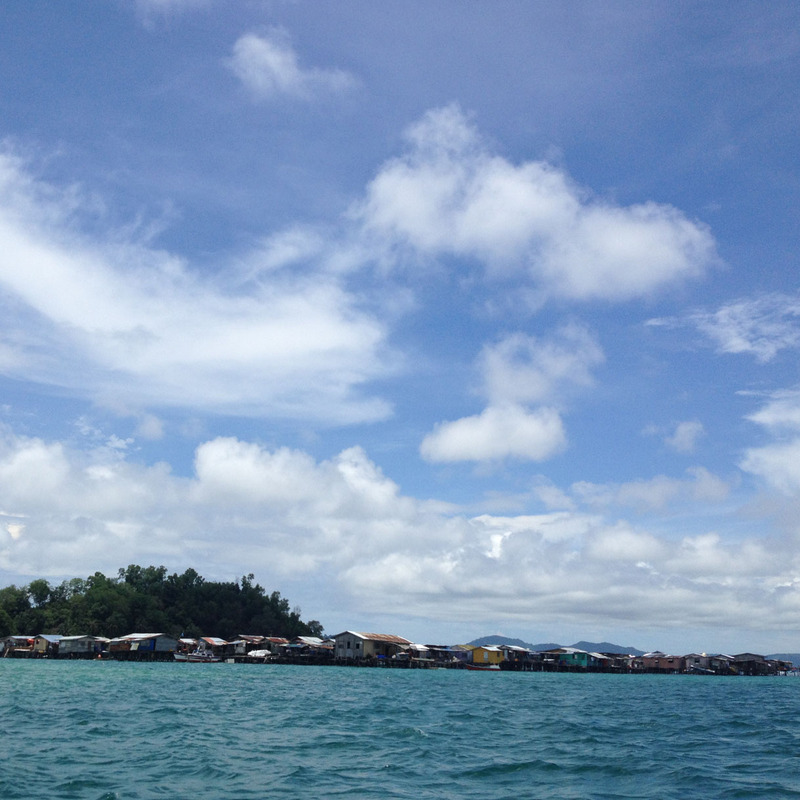 By noon, we headed to the jetty to catch a boat to Tavajun Bay, a private stretch of beach some five minutes away. We had arranged for a little picnic there, which cost us RM180. For that amount, we were allowed to pick a variety of sandwiches, salads, cheeses, other nibbles and beverages. A bottle of wine was included too, which made the picnic quite a value option. A picnic mat, cushions and cutlery were all laid out under a tree by the edge of the waves when we arrived. Lovely! We lounged around till 4pm, and then returned to the resort. Once back, we took root at the resort’s swim-up pool bar and guzzled as many beers as our tummies could bear. That evening we chose to have a simple dinner at Feast Village, where a semi-buffet menu was on offer. That meant we got to choose our main course from a menu, and then pick our starters and desserts from a buffet line. We ate slowly, chatted a lot and laughed even more. As the dinner crowd thinned out, we started to get sleepy and headed back for yet another night of great sleep. It is funny how one tends to wake up early despite plans to sleep in on holidays. Or maybe it was the glorious sunrises on this island that roused one easily. On our third day on the island, the husband went snorkeling – offered free to guests – with the resort’s resident marine biologist. I played the role of his photog, seeing how much a coward I was when it came to swimming in the sea. The activity lasted more than an hour, but the husband was reluctant to emerge from the waters at the end. “The seabed is just teeming with life! There’s too much to see, but too little time!” he gasped when he finally came up. He could actually explore another part of the sea on his own, but we had a cooking class to get to. 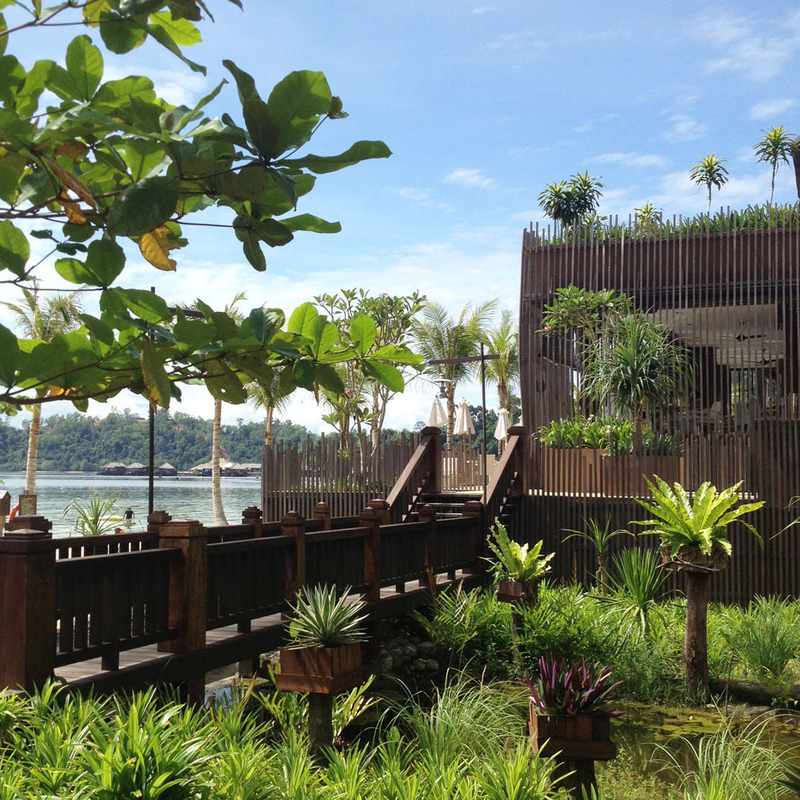 Now, there’s actually plenty to do at Gaya Island Resort. A common problem with most private island resorts is how guests may get bored and feel “trapped” after a while. The resort nips that problem in the bud by offering a schedule of activities everyday, from nature walks and snorkeling to culinary classes and sunset cruises. 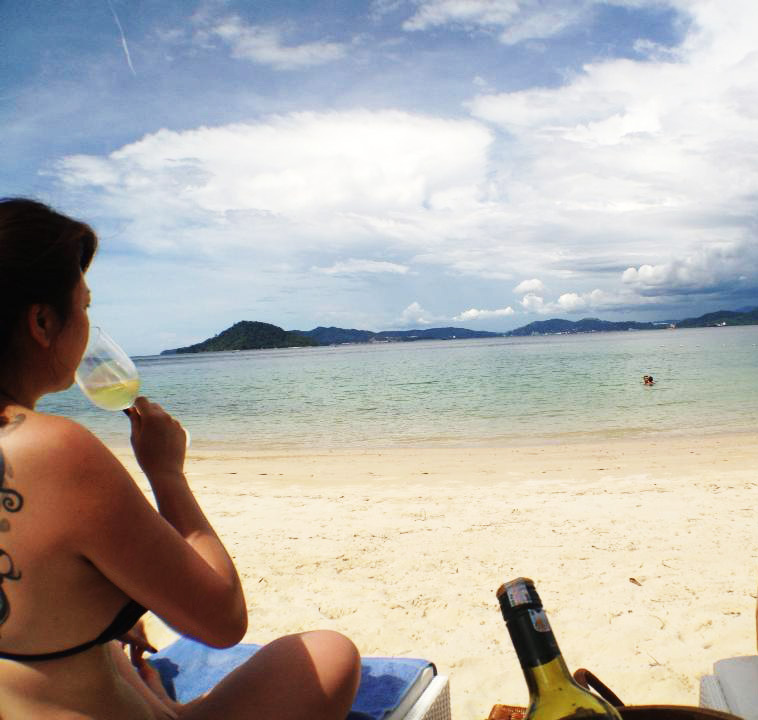 A number of unique dining experiences are also offered, just in case one got bored with the usual restaurants, such as private beach BBQ, steamboat dinner in a private cabana and the picnic experience we had the previous day. There were a few activities we wanted to do, and yet also have enough lazy time by the pool. 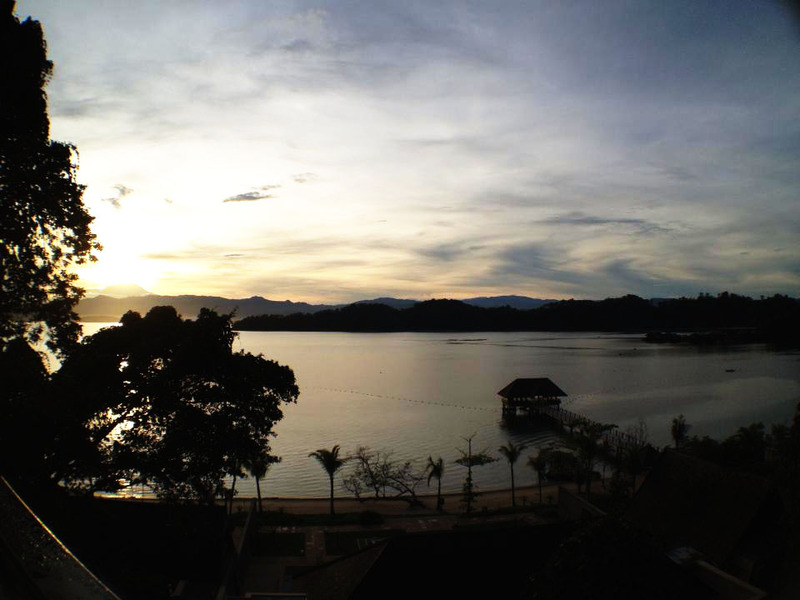 And because of that, we realised that three nights were just insufficient to enjoy the resort fully. Back to our cooking class. 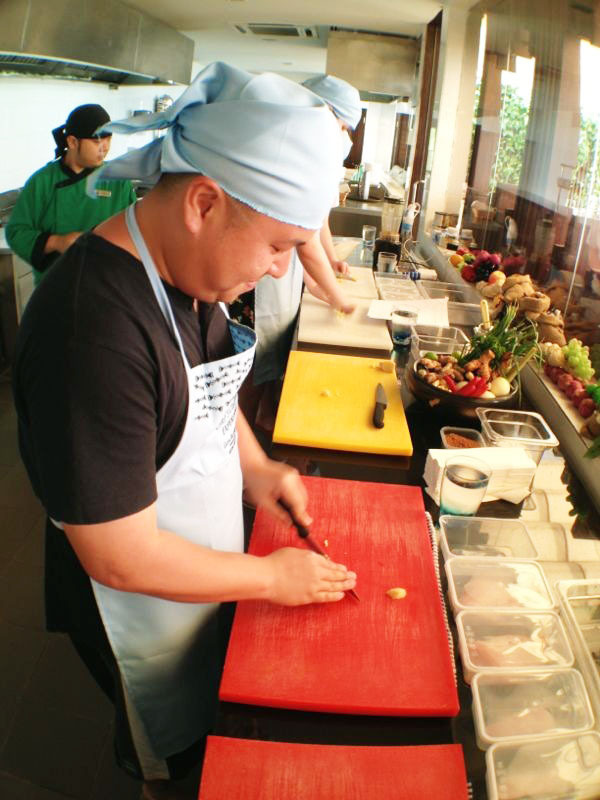 Held at Fisherman’s Cove, the activity was led by chef Shim who was patient and attentive. We learnt to whip up a fine local chicken stew with spices and grated coconut, and a tangy raw fish salad. Then, we gobbled all that for lunch in lovely surroundings. Burp! With our tummies filled, we changed into our swim wear and settled comfortably at the swim-up pool bar again. 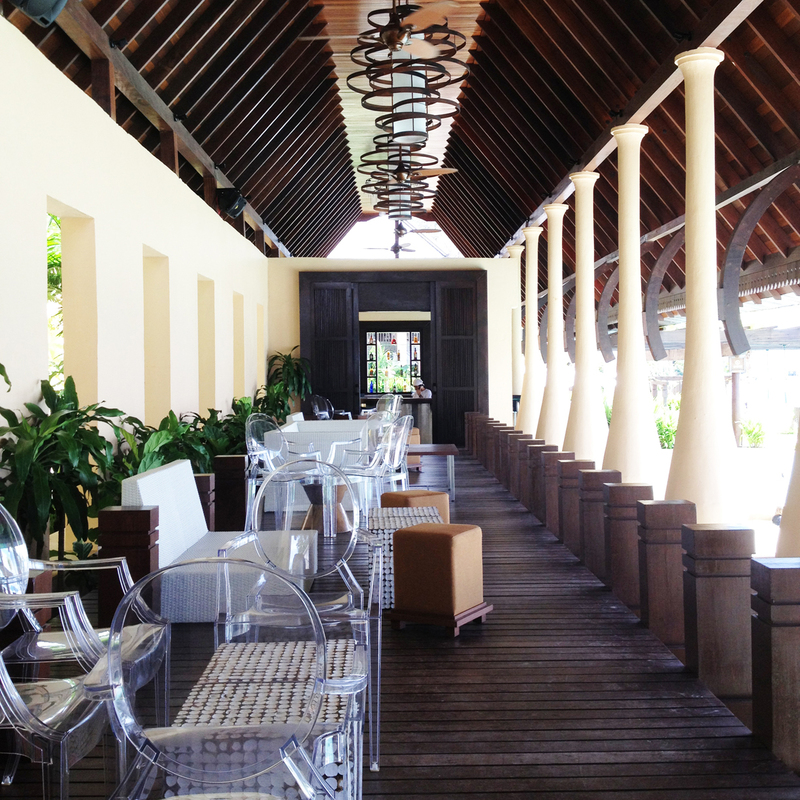 We also spent a brief moment under the shade in the Pool Bar & Lounge. As 6pm approached, we found ourselves at the resort’s Spa Village, a cluster of rustic buildings up the hill and in a corner. It was actually quite an odd timing to sooth our bodies, as it was just before dinner and we would have to shake off any sleepiness after the session just so we could eat. We would have preferred a long massage just before bedtime. But it was our fault for not booking our spa sessions ahead of arrival. We made the mistake of booking after we checked in on Saturday, only to discover that the spa was completely booked out the whole of Sunday and much of Monday. The Spa Village is quite a wonderful place to escape to. 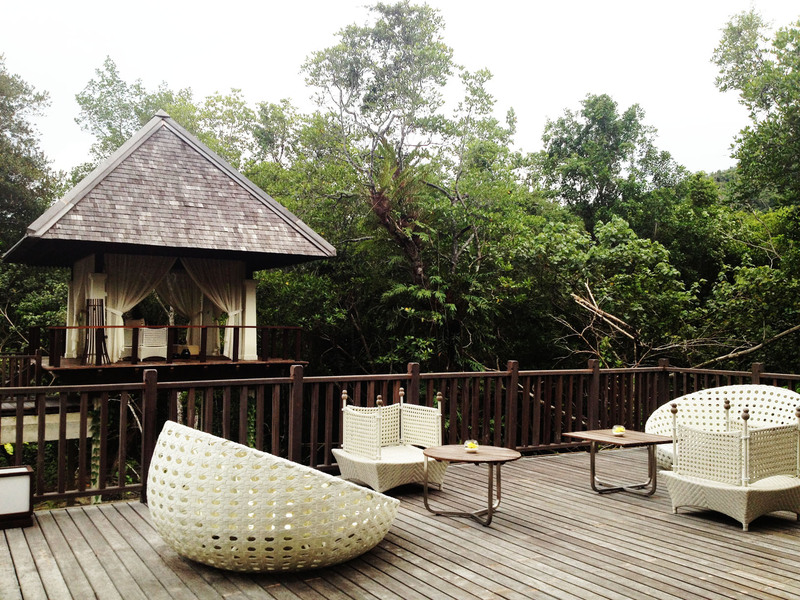 It has a spacious reception that is surrounded by greenery, little massage huts and a water feature. The staff told us that we could come by just to relax in the serene surroundings even if we did not have any spa bookings. Darn, if only we knew earlier! 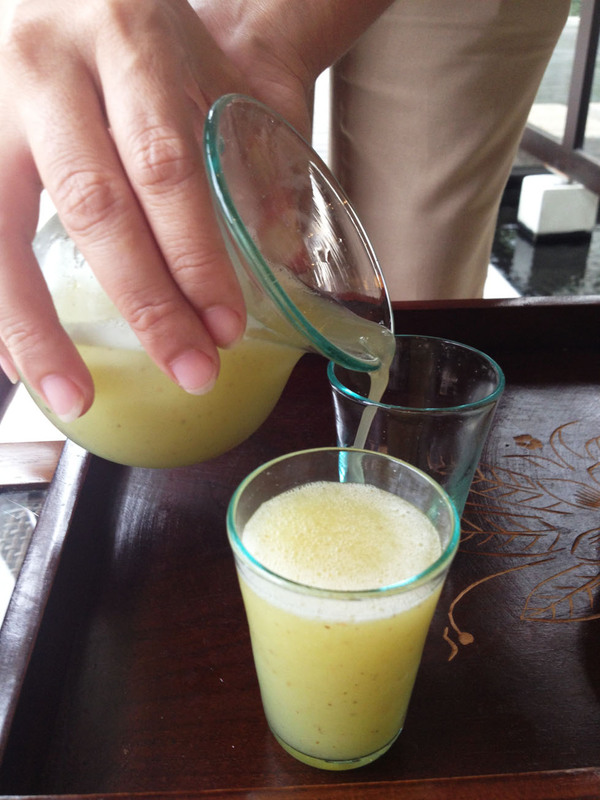 While we waited for our masseuse to get ready, we were served an invigorating chilled cocktail of guava juice, chilli, star anise and other natural ingredients. If only I could get that recipe! After a brief wait, we were ushered to a building where couple treatment rooms were housed. 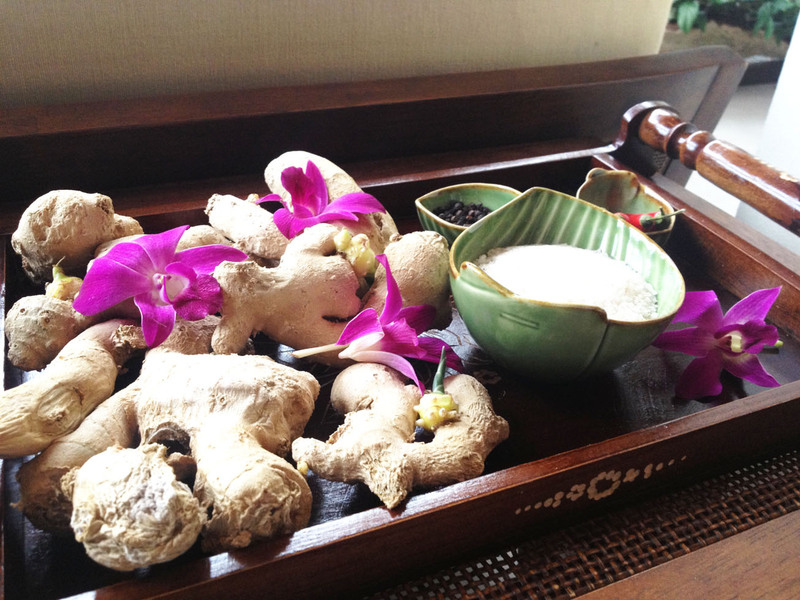 Our taste of heaven started with a traditional foot bath, using ginger, crushed chilli and other natural ingredients. Spicy, eh? We were told that all that spice would get blood circulation going. We opted for a traditional body rub. While it was great for the husband throughout, my session started off not too spectacularly. My masseuse started off too tough despite my earlier request for a lighter touch. I had quite a shock when she rested her full weight on my spine. My body stiffened in defense, which made it even more painful on my ribs. It took a second reminder for her to go easy on the pressure. As expected, we were a tad sleepy at the end of the massage. But we needed dinner, and with that being our final night at the resort, we were reluctant to retire to our room that early. So we had a slow dinner at Feast Village again, then proceeded to the poolside lounge to enjoy a bottle of wine while we waited for the skies to rain itself out. Yup. It rained cats and dogs that night. As always, good times come to pass too fast. 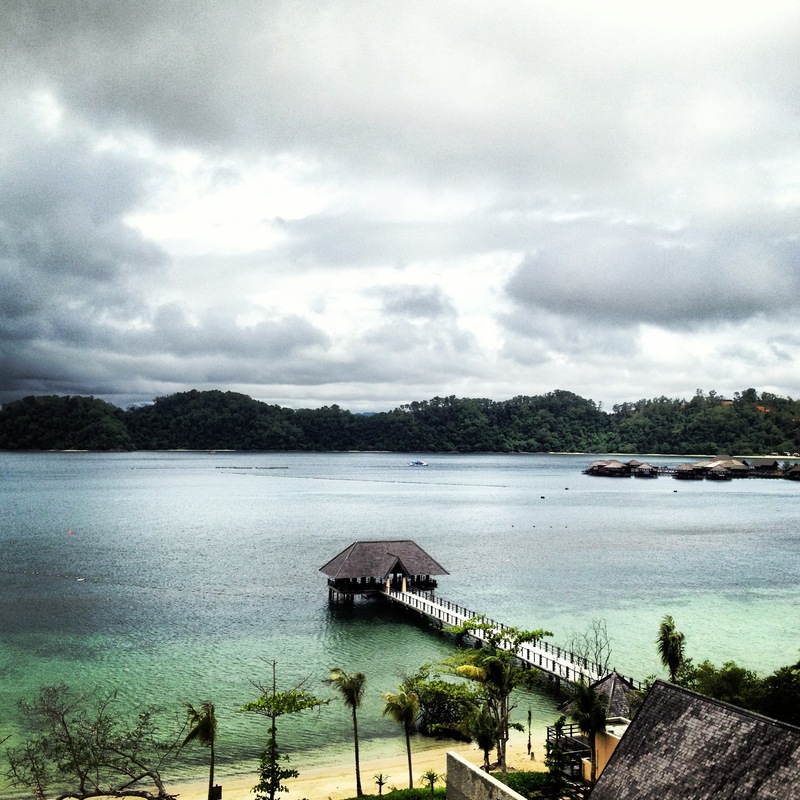 We bade Gaya Island Resort goodbye on Tuesday morning, and made our way back to Singapore and the rat race. 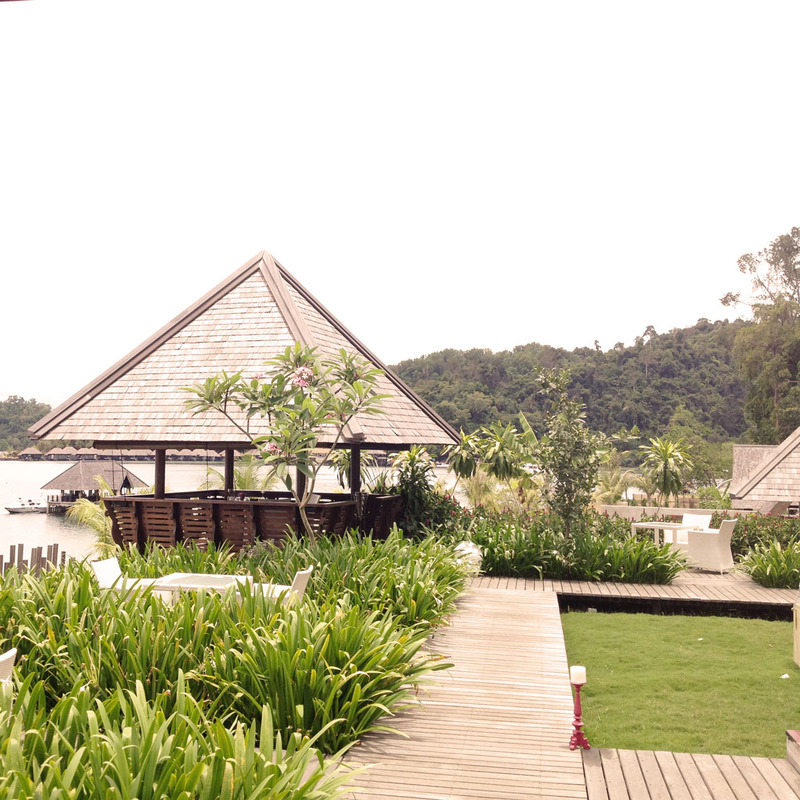 We will return, Gaya Island Resort. And next time, we will stay a lot longer!